Coal ash pollution of groundwater, drinking water, and surface water (rivers, streams, lakes) with toxic waste chemicals is a worldwide problem that is front and center in the United States and Missouri right now. The Washington Post recently wrote about the national coal ash pollution issue. Use EIP's Ash Tracker to see if sites near you have been tested and what pollutants are present. Missouri state regulators, the Missouri Department of Natural Resources (DNR), are attempting to create weak standards which allow polluting utilities off the hook. We cannot stand by and let this happen.If DNR hears from enough of us, we can engage DNR in a conversation about how to solve our coal ash problems. Currently, they do not see us as powerful as the utilities. If they did, they would not allow this pollution to continue. In Missouri, coal ash is stored along our nation's largest rivers and in communities, near creeks, streams, and lakes. Missouri is the "River State" and is dotted with caves, streams, lakes, sinkholes, and wetlands. Missouri is particularly vulnerable to water transport of soluble toxins. It is also difficult to identify where toxins are present and where they are going. Coal-fired power plants enjoy using millions of gallons of water from the Missouri River and the Mississippi River while dumping toxic waste directly into the water table and discharging relatively untreated wastewater into our rivers. Missouri's groundwater testing results around coal ash sites show high levels of multiple toxins including arsenic, lithium, cobalt, molybdenum, boron, cadmium, cobalt, and sulfate. St. Louis NPR, KWMU Radio Station article on groundwater contamination at Missouri coal ash sites. Sign and SHARE our petition to compel DNR to hear our concerns and represent our communities. Toxic chemicals in coal waste? 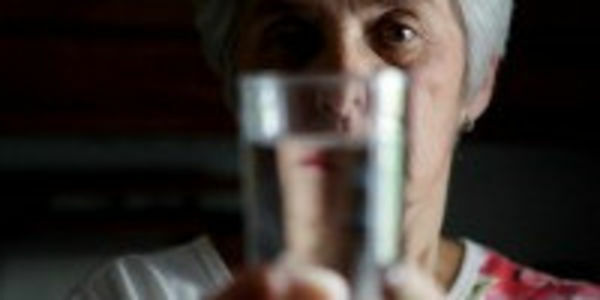 All the above toxic chemicals have been detected above safe levels in samples tested around Missouri's coal ash sites. At many sites, more than four chemicals have been detected and we have no idea the risk of consuming or exposure to multiple toxic chemicals. Recent data disclosures under the federal Coal Ash Rule have confirmed dangerous contamination at 92% of coal ash ponds and 75% of coal ash landfills nationwide. See newly released report, Coal's Poisonous Legacy: Groundwater Contamination by Coal Ash Across the U.S. with summary data on Missouri and other states. Join us in saying NO to polluting utilities and regulators that capitulate. Join us in demanding clean closure of these sites - to excavate, recycle, landfill, and remediate sites impacting communities and bodies of water. Add your name to the list of those asking for clean closure of all Missouri ash ponds and landfills sitting in groundwater. Demand testing for all the identified coal ash toxins every time utilities test - should be quarterly. Demand remediation that allows once polluted land to return to previously productive land uses: floodplain, water filtering, agriculture, etc. Missouri is one of a handful of states trying to supplant the federal EPA Coal Ash Rule and is one of the weakest proposals. We must stop them, given the implications for other states. WE NEED YOU and your networks to help us stop Missouri's Department of Natural Resources from enacting weak state coal ash regulations. WE NEED YOU to stand with us in demanding these sites be excavated, materials recycled or landfilled appropriately, and sites remediated and returned to floodplain and previous land uses. Thank you! Your efforts will make a difference. With your help, we will right this wrong. We will demand clean up coal ash pollution on our nation's major rivers. A win in Missouri is a win for all of us. This is our last push for signatures! The petition will officially stop accepting signatures on the morning of March 28th. Our sheets need to be into DNR by close of business day on March 28th. If you have paper petitions, please scan and send to prsmail@gmail.com or mail to LEO c/o 2322 HWY 100 Labadie MO 63055. If mailing, send by March 26th. Thank you, everyone, for making a difference. When we stand as one, good things happen. DNR, hear our voices for clean closure! We have just 15 days left to collect signatures so ask your friends to sign pronto. We will reference the signature count in our testimony on March 21, and into the record on March 28th. We are also circulating a paper petition and our count is looking good! In honor of national Groundwater Appreciation Week, commit to getting 10 of your friends and family to sign. There is no age or residency requirement. What happens in MO will impact others across the nation. We are in this together! Share with your networks via Facebook, Twitter, and/or email. We need roughly 100 signatures per day to get to our goal by March 21! It is a tough climb in so short of time but, we can do it because we care about clean water, safe communities, and accountability from our state regulators and utilities making profits using our water. Sign and share, share, share. Post every day - people need time to find the ask! Thank you! We are doing GREAT! Our goal was about 60 -65 signatures per day to get to 1,000 by March 21st hearing. Please share the link to the petition on FB, Twitter, and with your friends as you can. We can do this!